As someone who has always loved dance, particularly ballet, I was interested in this book as soon as I saw the cover, but I have to say I was a little disappointed. While this is a good book, it wasn't as good as I was expecting which is possibly partially my fault for having expectations that were too high. 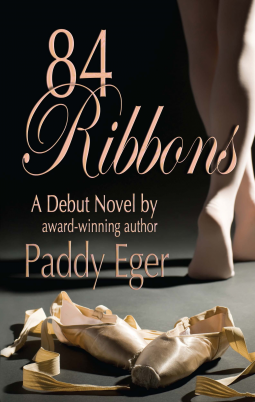 84 Ribbons is the story of Marta, a teenager in the 1950s, as she moves away from home to join a ballet company. While she's always dreamed of becoming a professional ballerina, her experiences as one aren't exactly what she had in mind. She makes two friends immediately who continue to be her best friends and, of course, there is a love interest. This book deals with some important issues surrounding the ballet community such as eating disorders and ballerinas overworking their bodies and these issues are dealt with well. My only problem with the way the author deals with these sensitive topics is that they sometimes feel like unnecessary stereotypes. We only meet a handful of dancers throughout the book and the majority of them struggle with one of these two issues. While ballet is undoubtedly a physically demanding profession and it is likely that things were different in the 1950s than they are today, it would've been nice to see more characters who were strong dancers with healthy eating habits, as the majority of dancers do not have eating disorders and reading this book felt like the opposite. While it was by no means my favourite book, I feel like it is a decent book and I didn't necessarily dislike it. I just wouldn't rush out to recommend it to all of my friends. Have you read 84 Ribbons? What did you think of it?